Let me give some straight talk to members of session: It’s not at all uncommon for ruling elders to hold on to volumes of church records after they’ve resigned from session, filing minutes and registers in the attic or basement, lost to time. You’re not alone. Retrieved records are a wonder to behold. 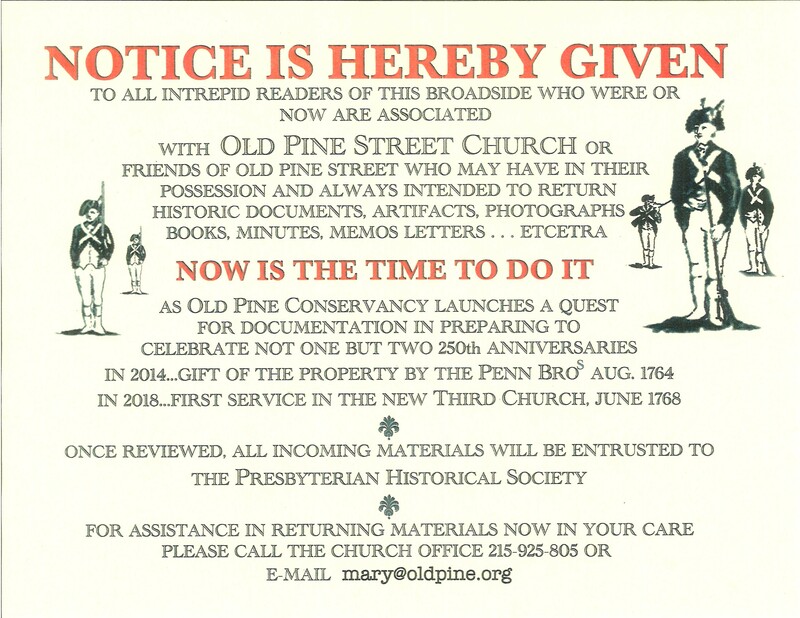 And a few weeks later, there was Ron, with four volumes of records from Eighth Presbyterian Church, Atonement-South Presbyterian Church, and Scots Presbyterian Church, three of the predecessors to Old Pine, spanning 1828 to 1920. Let me make a pitch for a New Year’s resolution way in advance: You can use our online catalog, Calvin, to search for records of your church held at PHS. If you can spot gaps in the collections, why not send out a message to former clerks of session, elders and congregants asking for information about any official records in their possession? When you do find records, feel free to contact me at dstaniunas[at]history[dot]pcusa[dot]org to talk about next steps!